Examples, videos, worksheets, stories and songs to help Grade 5 students learn how to classify quadrilaterals. The following flowchart shows the relationship between quadrilaterals. Scroll down the page for more examples and solutions. Different types of quadrilaterals and their properties. 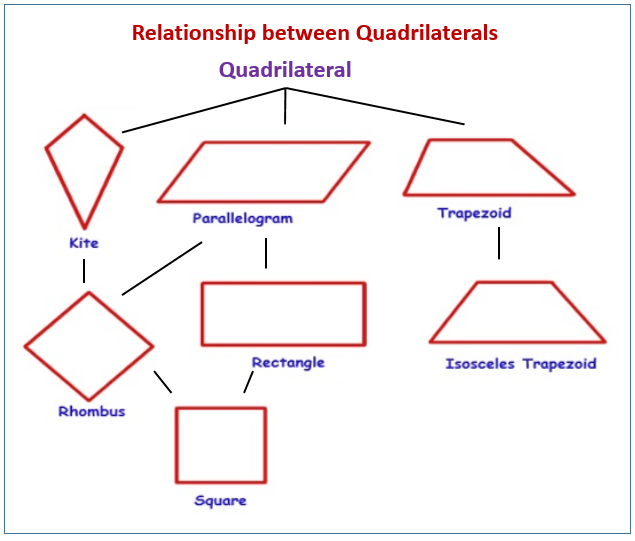 A explanation of the quadrilateral flow chart which shows properties of quadrilaterals and their relationships to one another.